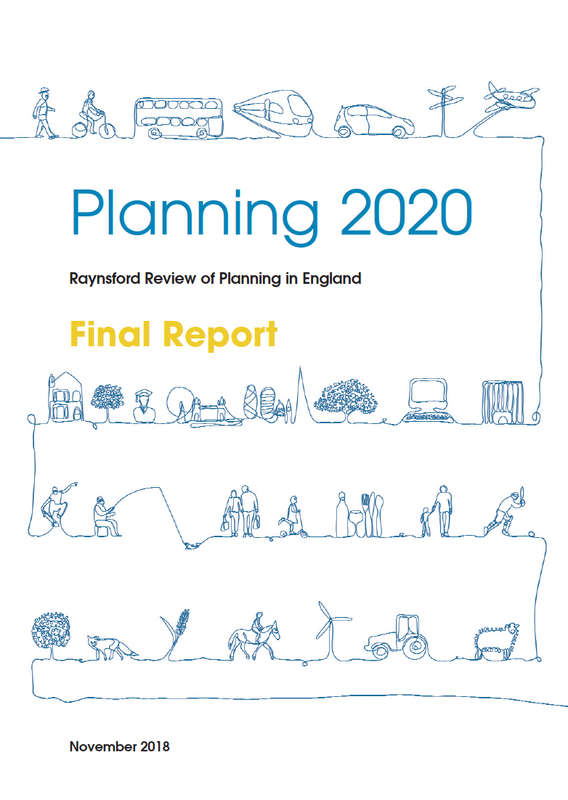 Just yesterday, the Town & Country Planning Association (TCPA) of England released a review of the English planning system, called "Planning 2020". The review process was guided by the President of the TCPA, the former UK Minister of Housing Nick Raynsford, and was supported by a Review Task Force composed of professionals, representatives of related associations, and academics. 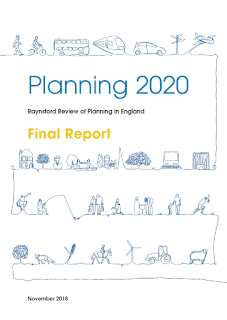 The review gives an excellent overview of the current state of the English planning system, which was discussed against the background of its basic commitment to co-ordinate land use decisions in a way that provides better (sustainable) places for people. Over a total of 128 pages, the review demonstrates how this commitment has become difficult to achieve, for reasons that were situated both within the planning system and beyond, in framed in increasingly difficult conditions, and embedded in messy politics. Even though the review assesses spatial planning in the rather specific English context, readers can nevertheless learn about the current state of planning in places characterised by deindustrialisation and rising services and tech economies, resulting in uneven development (pressure of growth here, and emptiness there), environmental degradation, a palate of mobility issues, and institutional inertia and blockades. In the light of such developments, planning is not only facing complexities of all sorts, but is also confronting massive lobbying and political pressure from processes of deregulation and neoliberalisation that has made planning officers appear as the "enemies of enterprises" (according to the former UK Prime Minister David Cameron, who is quoted by the report). So, while the report is rather specific as to the overly centralised (and massively contested) political and institutional system of England, the review brings together some striking assessments concerning how healthy (or unhealthy) planning ought to be considered in more general terms. It is thus an exciting read, and actually a "must read" for anybody interested in spatial planning. For this purpose, the eight different sections of the report can also be read separately, and the same applies to the background papers that are provided on TCPA's website as well. There is a lot to learn from this, and to reflect upon: the fundamentals of planning (what is planning, and why should we care about it? ); the institutional background and its evolution (why do we have a planning system? what went wrong with planning? ); and, the kinds of recommendations that might make the planning system more effective. I have already recommended this piece to the students of my planning class, as I believe that it is definitely worth taking into account. One might wish such an informed, fair and independent review of planning systems and practices could also be undertaken in other countries, such as some of those on the European Continent. (Any idea which one comes to my mind first? ).